This 16-page journal is the student’s hands-on tool for making personal meaning of the Mah Nishtanah. This 16-page journal is the student’s hands-on tool for making personal meaning of the Mah Nishtana and other parts of the Haggadah. It includes Hebrew reading practice, drawing and other reflection activities, music interpretation, and a variety of prompts for personal relevance. Three “Hebrew Helpers” pages reinforce reading, vocabulary, roots and prayer concepts. Each journal ends with “My Musical Journey”—a summary and assessment page. In addition to its use as a skills-building and reflection tool, the journal can serve as a record of progress and is an excellent way for students to build a portfolio of their work. Use the student journal in conjunction with the digital companion for a complete learning experience—all driven by the essential Curriculum Core. Hebrew in Harmony is a 3-year Hebrew curriculum for 4th-6th graders that uses the power of music to engage students with prayer. Educators can select from among 22 individual modules—each devoted to a different prayer—and teach them in any order. Featuring music from today’s top Jewish musicians, along with arts, movement, videos, and a full digital learning experience, this multimedia curriculum invites students to learn to sing and pray in Hebrew, as well as read, explore, and interpret prayer text. A list of the prayers in the series can be found here. Student Journals - One 16-page booklet per prayer that includes Hebrew reading, drawing, and other reflection activities, music interpretation, and a variety of other prompts for personal relevance. Click here to sample the Sh'ma student journal. Digital App - Each prayer comes with its own videos, music, Hebrew reading and recording for students, teacher review and feedback options, games, and much more. An essential part of the program! App can be used on any device. Try the Sh'ma digital here. Curriculum Core - A three-ring binder with fully scripted, timed lesson plans to create dynamic multimedia lessons, student journal booklet answer keys, reproducible word cards, and song lyrics for the music included in that module. Includes art, mindfulness, and movement activities. Click here for a sample lesson from the Sh'ma Curriculum Core. Why teach prayer through music? The reasons are many: Music creates a safe and welcoming environment rich with opportunities for learning. Research shows a link between music and emotion, and students learn best when new information is associated with strong emotion and engagement. Music also acts as a powerful memory device. Plus, music adds joy and fun to Hebrew learning. Do I need musical skills to teach Hebrew in Harmony? No! The beauty of Hebrew in Harmony is its roster of fabulous professional musicians who are virtual teachers during the music portions of each lesson. Each lesson is fully scripted, so when it says to “play the music,” just play the music. Is Hebrew in Harmony appropriate for a particular movement/affiliation? Hebrew in Harmony is designed to be used by educators and students of any affiliation. Where liturgical differences occur (for example, Avot/Imahot and G’vurot), the variations are presented and explained, and provide a good learning opportunity. In the digital companion, you can choose your affiliation. How much does it cost per student to use Hebrew in Harmony? Hebrew in Harmony is a modular program—you can choose which prayers to teach, and in which order. You have options for purchasing: Individual prayer journals: $2.95 each for a 16-page print journal. Full digital access to all 15 prayer modules: $9.95 per student for a 12-month license. Add on the individual prayer journals, as you choose. What you choose depends on which prayers you want to teach. 2017 Curriculum Core: $39.95. Includes teaching materials for the 15 prayers introduced in the series thus far. Comes with a 3-ring binder. What training is available for using Hebrew in Harmony? This is a totally new way of teaching, and we know you have questions. The Curriculum Core covers many elements of how to teach with Hebrew in Harmony. View webinars, and a list of any upcoming workshops. How do I download the music? You can also find all the music here, which you'll find on the lower right corner of the yellow Hebrew in Harmony web page. How do I set up the Hebrew in Harmony digital companion? Hebrew in Harmony blends print and digital materials to create a unique and comprehensive learning experience. Log into your educator's account at behrmanhouse.com, then enter your school’s OLC and add Hebrew in Harmony to a class. All the prayer modules automatically appear in the class. Students in the class automatically have full access to the app from any of their devices. Click here for a downloadable PDF of an overview of the Hebrew in Harmony digital companion and simple instructions for accessing it. What else do I need to know before using Hebrew in Harmony? Before you jump right into Hebrew in Harmony, be sure to review our list of top five tips for success. Find the list here. How can I try out the program before committing to it? Be sure to check out some of the sample videos, download a complete student journal , view sample pages from the Curriculum Core, and try out the digital component . If you still aren’t sure, get in touch with us to request a 15-minute demonstration. Click here for a list of HiH musicians. Read how different schools are experiencing Hebrew in Harmony. When Congregation Mkor Shalom in Cherry Hill needed a change to its Hebrew program, educators got organized. 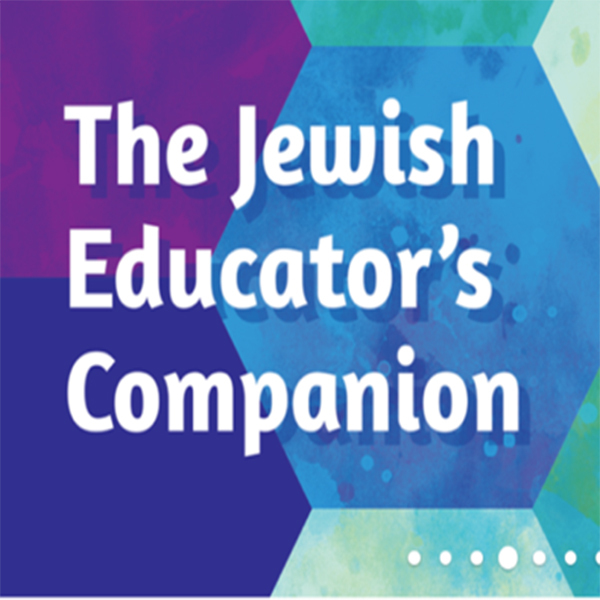 Temple Sinai in Atlanta has advice for fellow educators navigating through Hebrew in Harmony. Read on for helpful tips from professional teachers. When educators at Shir Hama alot in California wanted to adopt Hebrew in Harmony, they made sure to include their education committee in the planning.